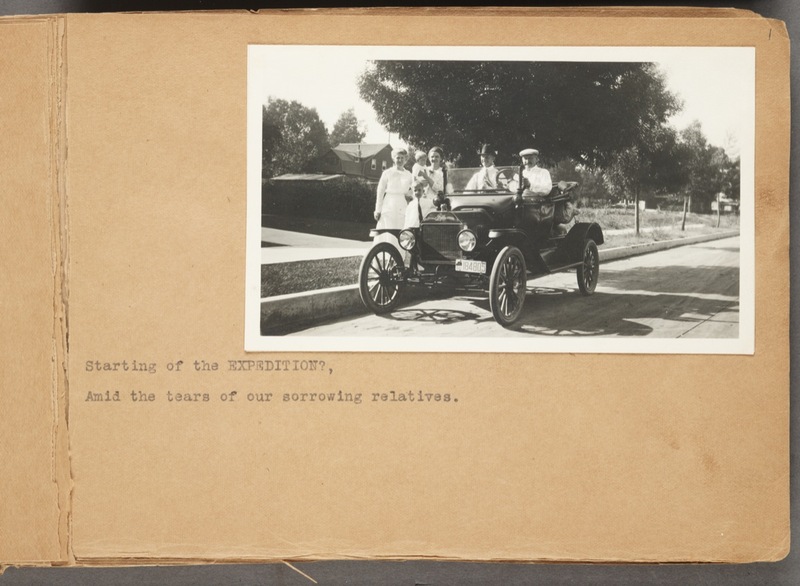 We discovered this photo album in the Huntington Library archives. 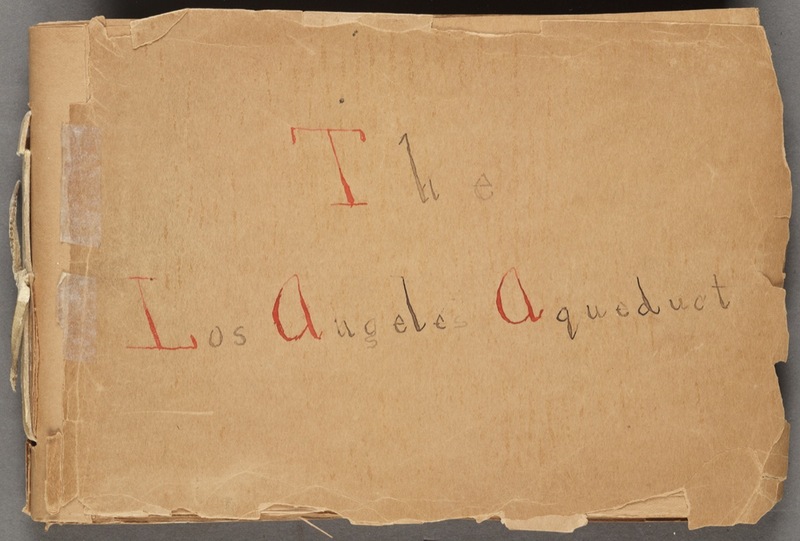 From the Huntington Library archives. 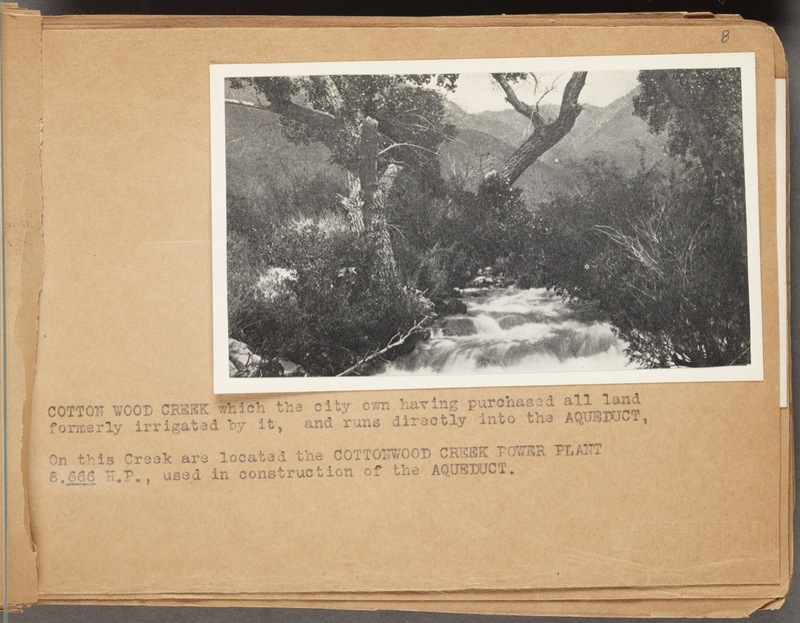 In 1915, just two years after the Los Angeles Aqueduct was completed, Julius Goodwin Oliver and William Henry Frick packed up their Ford Model T and drove north from Hollywood to see where their water came from. 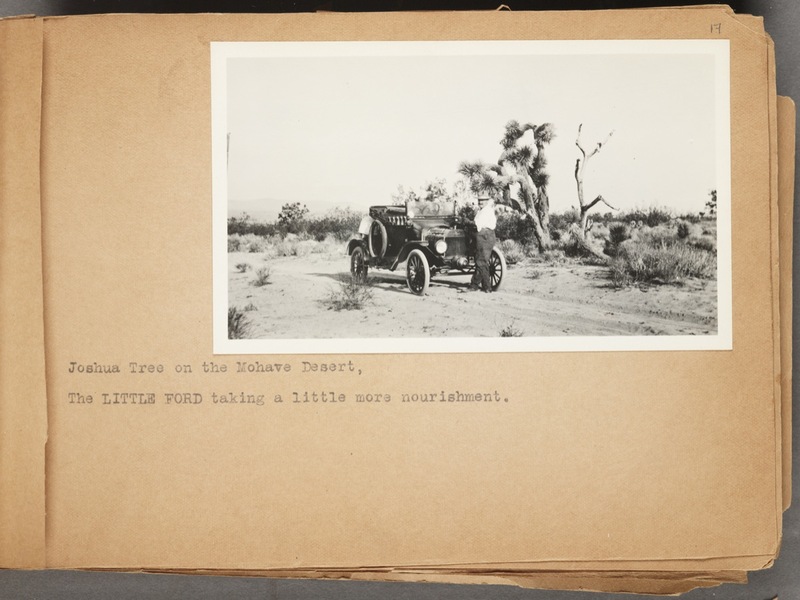 Frick lovingly photographed the 250-mile trip and collected the images in a photo album that we found in the Huntington Library’s archives. 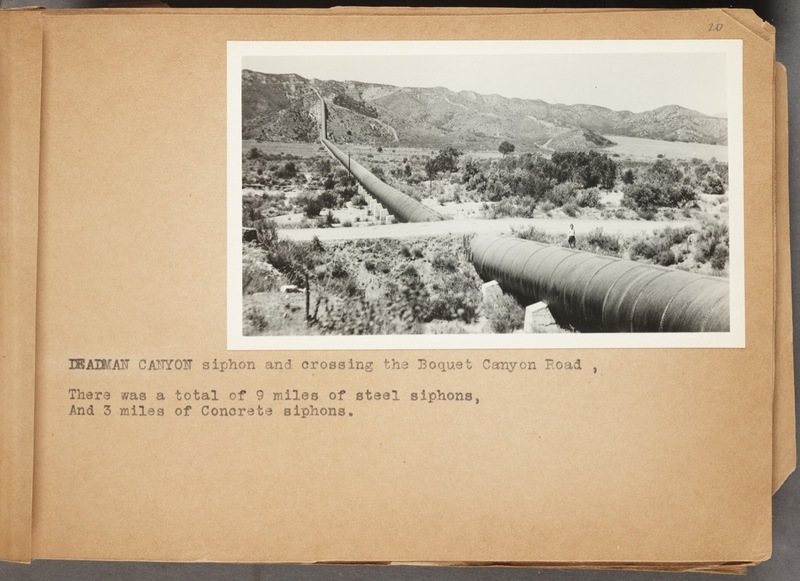 It is a delightful time capsule—a series of stills laid out like a prospectus for a silent movie—chronicling the landscape; the new infrastructure of the aqueduct, reservoirs, and roads; the men themselves; their home in LA; and, of course, their car. The album even has a soundtrack. “The Little Ford”—a 1915 song that humorously recounts a series of hazards endured by a Model T—is listed among the credits on the last page. The photo album also seems to be an early example of another emerging genre: the buddy movie. In addition to the soundtrack credit, the back cover names Oliver “director” and Frick the “head camera man,” and it announces, “Mr. 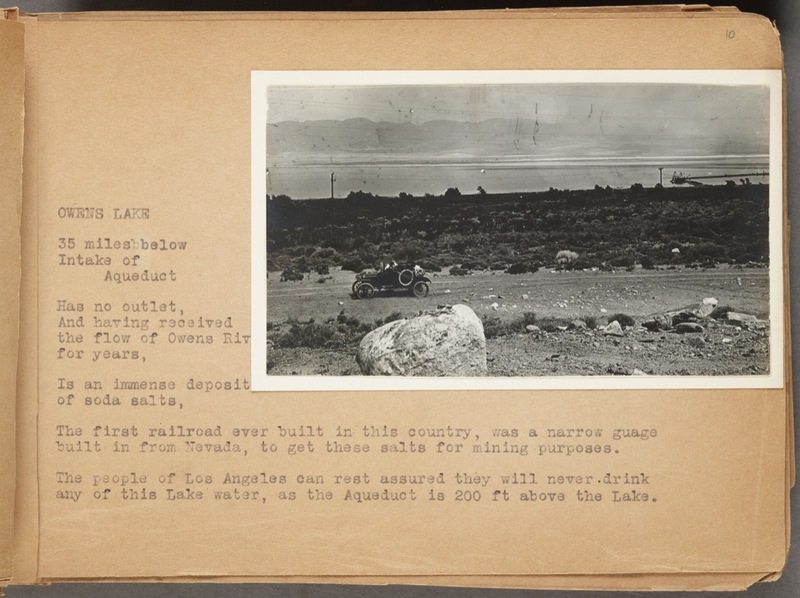 Oliver begs leave to present his latest production entitled Itinerary of the Water of the Los Angeles Aqueduct” in language redolent of early film advertisements. It’s no surprise that movies would be on the minds of these men—1915 also saw the release of the first real Hollywood blockbuster, D.W. Griffith’s The Birth of a Nation, which was filmed in Southern California and announced the arrival of a new local industry with national and eventually global aspirations. The destination of Frick and Oliver’s film expedition—the iconic rural western landscape of the Owens Valley and towering eastern Sierra Nevada—would become the setting for hundreds of films and commercials. The town of Lone Pine now has a film festival dedicated to this local canon. 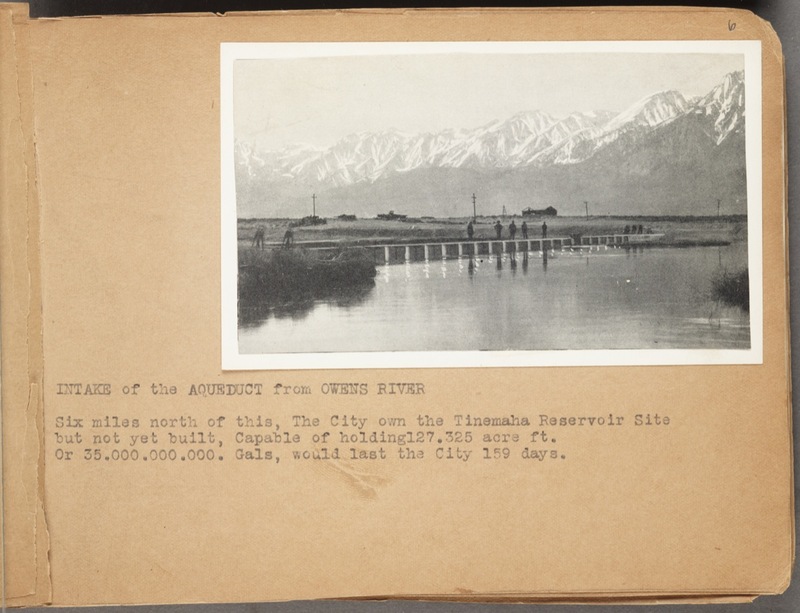 But what about the silent star of this photo album, the aqueduct itself? This record of Frick and Oliver’s adventure suggests that they were fascinated with this great feat of engineering. The album has the air of a visit to the Great Pyramids or some other wonder of the world. Their snapshots try to do justice to the monumental architecture of this earth-changing and city-building technology. 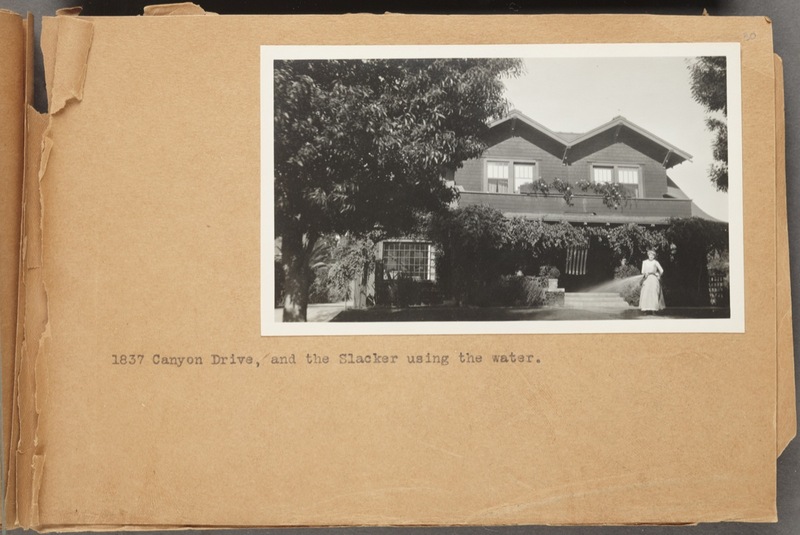 But there is also a playful, sometimes ironic tone to the whole thing, especially in the final shot, captioned “the Slacker using the water.” The photo shows Oliver’s niece Lillian watering their lawn in Hollywood, seemingly unaware of the epic effort that enabled water to flow from the hose in her hand. Mr. Oliver begs leave to present his latest production entitled Itinerary of the Water of the Los Angeles Aqueduct. You can see the full photo album–and hear “The Little Ford”–over here. 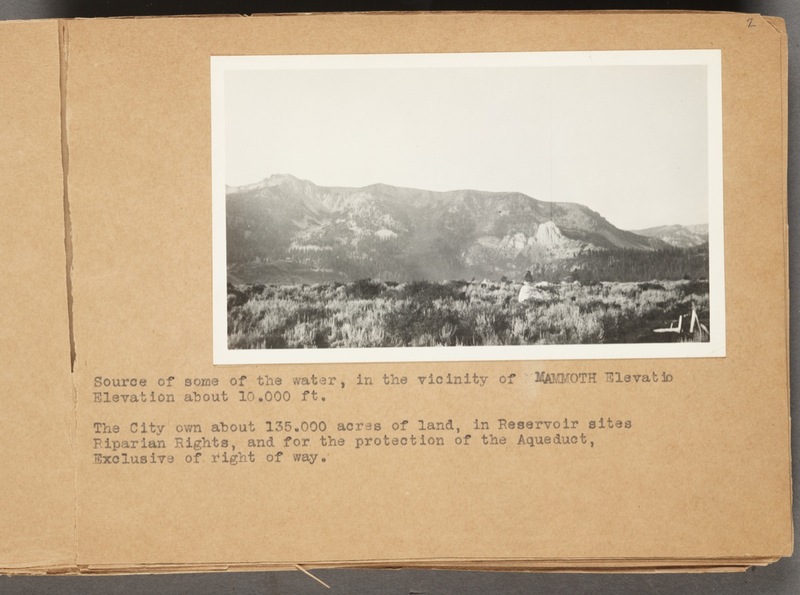 And visit the new Los Angeles Aqueduct Digital Platform to explore the archives yourself. 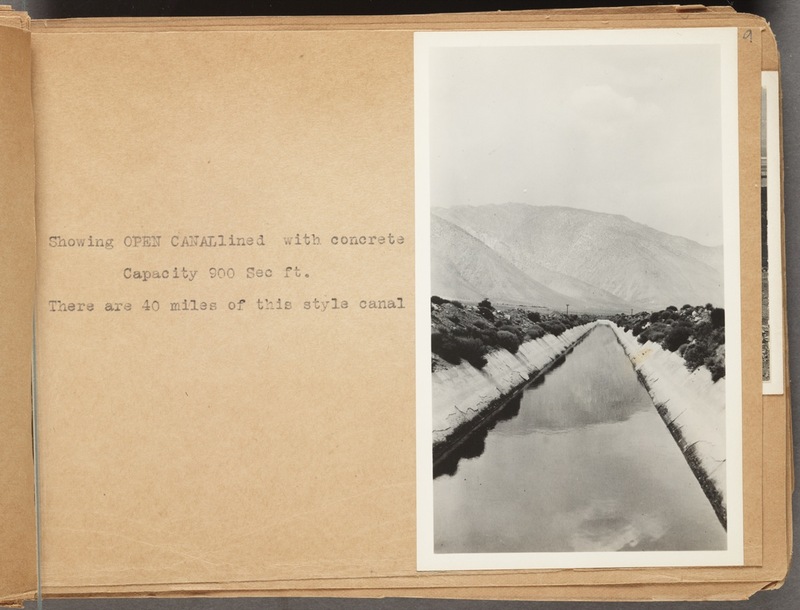 “The Los Angeles Aqueduct” photo album courtesy of the Huntington Library, San Marino, California. Boom would like to thank Steven Keylon, Patrick L. Jones, Christina Rice, Rory Coleman Mitchell, and Ann Campbell for helping us fill in some of the details of Oliver and Frick’s story after we posted a photograph on Facebook asking for information about the home at 1837 Canyon Drive.